Construction Management Services - Summit Associates Inc. Summit Associates is proud to offer our extensive experience and expertise in construction management to firms both large and small. 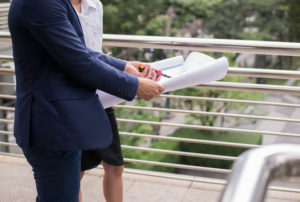 As one of New Jersey’s leading real estate firms, Summit Associates has earned the trust of companies from large multi-national conglomerates to local owner-operated firms. We have developed a strong, customer-focused philosophy that has allowed us to meet and exceed the construction service needs of hundreds of New Jersey companies. As a developer of our own portfolio, we are able to understand and appreciate construction projects from our clients’ perspective. For that reason, our systems, personnel and expertise have been put in place to achieve the maximum return for our clients in terms of quality, value and on-time performance. For any commercial construction project – from conceptual to completion, to retrofitting an existing space, Summit Associates’ Construction Management Services stands ready to help your firm achieve its objectives.